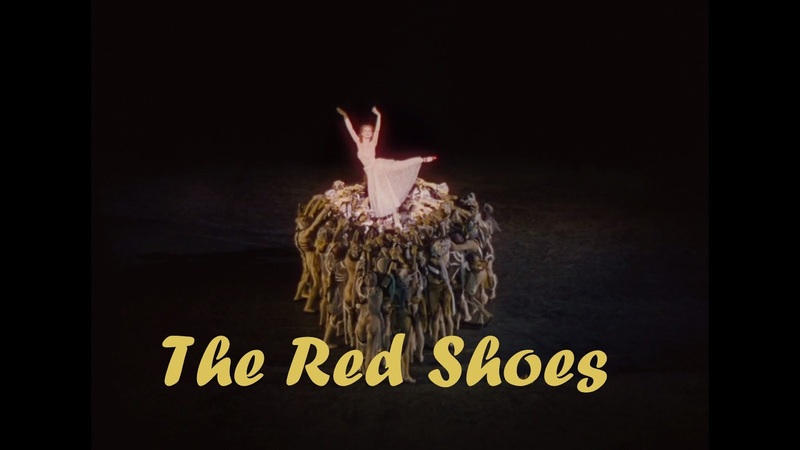 This week on Hit me with your best shot, we're celebrating the year 1948 with one of that year's best films "The Red Shoes". 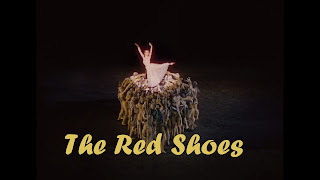 Directed by the famous directing duo Michael Powell and Emeric Pressburger, this tale of the rise and fall of a ballet dancer is a fine pick for the "Best Shot" treatment. Indeed, the bravura filmmaking involved in showcasing the titular ballet offers an endless array of striking images. 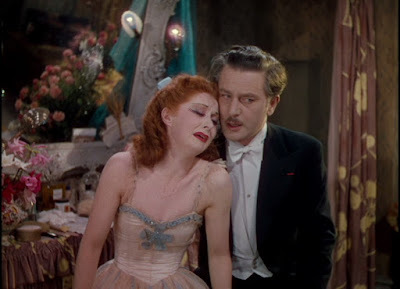 In it, Moira Shearer also fully justifies the decision to cast a dancer who could act, rather than an actress who can dance. Her movements add that extra touch of emotion to the piece. But my choice for best shot isn't from this scene. It comes towards the end, when the film delves deep into its central themes during the sad climax. "Life is so unimportant. And from now onwards, you will dance like nobody ever before." There's no doubt that Lermontov feels strong affection towards her, but his obsession with his ballet's success trumps all the humanity in that love. He shows his true colors in this moment, as he tries to catch the attention of an assistant to bring Victoria her ballet shoes. Never mind the fact that she's feeling suicidal, because the show must go on and there's no time to waste! Unfortunately, his controlling attitude leads to everyone's downfall. If only he showed a bit more concern for her emotional well-being, I suspect things would have ended differently for the two of them. But of course, I also suspect that such a happy ending would have lessened the film's power and made it a weaker film, unworthy of our own love and obsession with it. UGH, this movie is so perfect. Why do I keep missing these Best Shot posts?!?! I don't think I'd be able to pick just one shot though, since this whole movie is pretty much the best looking movie of all time. This movie is ssoooo gorgeous. You gotta get back into this Best Shot action, man! It was practically impossible for me to come up with one shot as "Best" for this one. I like your reasoning for this one. Thanks, I really loved the emotion here.